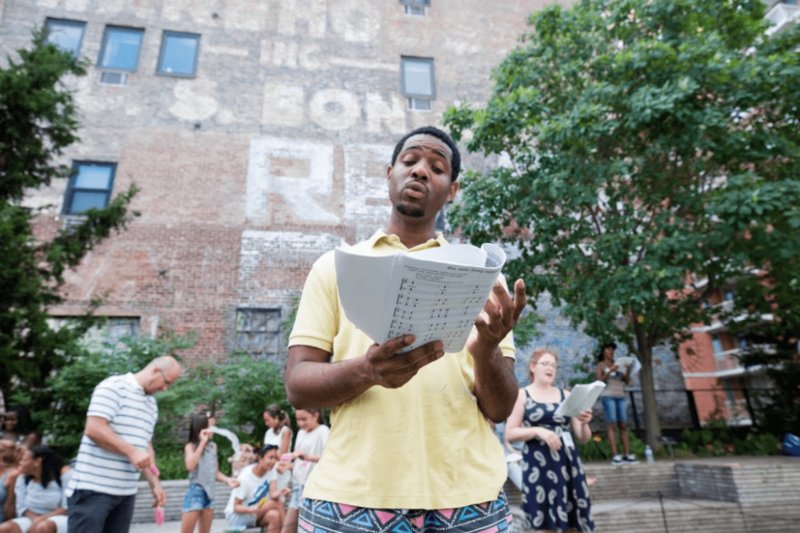 The Mile Long Opera is a city-wide public engagement project bringing together 1,000+ singers from across New York for free performances on the High Line, October 3 – 8. We talked with Diller Scofidio + Renfro Principal and long-time lead designer of the High Line Matthew Johnson to learn more about this large-scale performance that will travel across the entirety of the park. Meatpacking: Walk us through your background with the High Line. 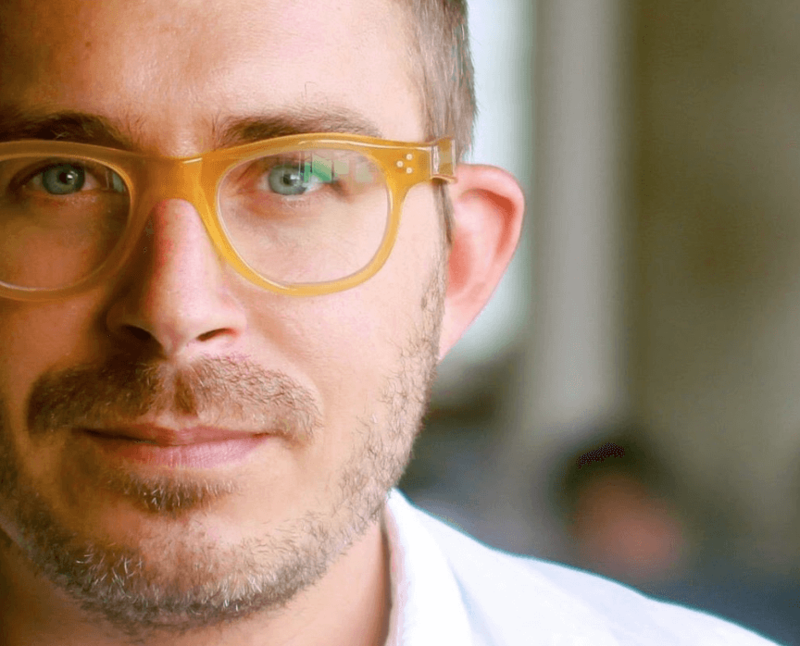 Matthew: I’ve been with Diller Scofidio + Renfro since 1999. We started with the High Line back in late 2003. I’ve been director and lead designer since the very beginning of the design, to the completion and construction of the High Line and continue to do so today. There’s a whole section around the western side that will develop over time, with points along the way that we’re still actively designing. Meatpacking: How is the Mile Long Opera different from other projects you’ve worked on with the High Line? Matthew: Our firm is multi disciplinary and we take on a lot of different projects at different scales, from urban planning, to small industrial design, gallery work and public art pieces. My focus has historically been on the public art side. When we were designing the High Line, there was something about this sort of sliver of space on one side of Manhattan; it was very naturally theatrical. It was interesting walking the length of the High Line on my lunch while we developed it, and it felt like I was behind the scenes. It was like being in a theater, but backstage and having glimpses to all the inner workings of the theater and out to the audience. It sort of planted a seed in our mind that, wouldn’t it be great if after spending all this time designing the public space, to develop a project that uses the space and activates it in a theatrical way. Eventually, we arrive at the idea of doing an opera, and the opera being that we use all aspects of creative and visual art, music and storytelling. Creating a work that would unconventionally bring theatre out of an actual theater and bring it out in a public space, but on an urban scale. Meatpacking: Usually opera is not associated with being accessible. How does this production change that? Matthew: Well, the first thing is that it’s free. I really love opera, but I didn’t have much experience enjoying it until recent years. I always thought it was way too expensive, difficult to get a ticket and too foreign. I didn’t know how to find my way into that world. We are using the word opera in a fairly liberal way. It’s not strictly opera. Through all of our public engagements, we’ve done a lot of presentations to different community groups that typically wouldn’t go to an opera and talk what opera means to them. Universally, opera was not something they’d participate in, however, everyone seemed to understand it as a vehicle for stories through music, and I think that is the universal appeal. It was interesting to provoke that conversation within different groups that might see it as being alien, because you talk about it in terms that gets down to the essence. Meatpacking: The opera incorporates 1000 stories or so collected from first hand interviews. Tell us how the team designed for that spatially. Matthew: The Mile Long Opera is similar to the design of the High Line in that you participate in a unified experience and travel through a series of atmospheres. The atmospheres are reflected by the context of the city. The opera is similar in that you start at Gansevoort Street and everyone moves in the same direction from south to north. Along the way you experience the many voices of all the singers, and hearing their stories as you travel through the space. Each one of their stories creates an acoustic atmosphere, which also responds to the city adjacent to it. In fact, we were very conscious to keep it as an acoustic project, or a non amplified project, as much as possible. We really liked this idea of the frailty of the human voice against the city, and the audience being able to experience the acoustic challenges of being out in the city and how the singer responds to those conditions. There’s moments when you pass the street and there’s ambulances that go by and suddenly it shifts the focus of the singers and might even affect them harmonically in an interesting way. Meatpacking: Talk to us about the collaboration with composer David Lang and poets Anne Carson and Claudia Rankine and how their work contributed to this project. Matthew: We started talking to David around four years ago. At that time, it was still a fairly abstract notion of doing something theatrical. As we’re talking to the composer, we wanted a musical piece but not quite sure what that meant. We went through many different iterations of how we could create something that responded to the High Line. Initially, we were considering creating a fairly complicated backbone of audio speakers that were linked to a central orchestra. We moved away from that idea after talking about how human voices respond to the space and fell in love with the idea of having as many singers as possible. You have this physical scale of human participation, but then you also have incredible intimacy of the journey through the length of the High Line. You can lean in and really hear the voice of the stories of each individual singer and that’s something that came out of active conversations with David Lang. We really credit David as a co creator for this piece. Eventually, as we were trying to figure out how to collect these stories, we arrived at Anne Carson and Claudia Rankine because of their amazing poetry. They took the theme in terms our interest in the speed of urban change, and the stories of response to change in the city. Anne went up to the High Line with us one evening around 7 o’clock, which was when we were going to show the piece in October after sunset. It’s a very particular time of day for most people, when you’re either coming home from work or on your way to work. You might be starting dinner, or making plans for the evening. It’s a point in the day which is all about transition. It’s beautifully connected back to the general theme about change, and brought into a daily routine vantage point. Anne approached it as stories about seven o’clock, which is where we arrived at the biography of 7 o’clock. We had a group of interviewers go out and talk to different stakeholders in neighborhoods around the five boroughs to get an idea of what things people talk about, and how they respond to particular questions about what life is like at this particular time of day. What does 7 o’clock look like, what does it mean to you, what did it used to mean to you when you were younger and how has that changed. We collected these stories and gave them to Anne and Claudia to digest and interpret as they may. Anne took it from the direction of many different stories and vantage points that are centered around this particular time of day. Claudia responded to a notion about the tables between us. You come to the table for dinner, for conversation, people eating together and working together. It was the conversation at the table at this time of day that was really critical for her response to the theme. Meatpacking: What kind of impact do you think the opera will have and what will people take away from it once they visit? Matthew: I hope what people get out of this is an appreciation for the collective and participatory development of a project like this. We’ve worked with over 1200 singers to make this. It’s very much about your participation that makes it real and has really shaped it. With the experience of going through this work, people will have a sense that there are so many stories behind each one of these windows along the length of the High Line and the city. Meatpacking: You’ve worked with the High Line for quite a long time, what are some of your favorite spots in Meatpacking? Matthew: Well, I miss Pastis, that was my experience with the neighborhood back in the mid to late 90s. Meatpacking: We do too, but Pastis will be back in 2019! Matthew: In general, there is a certain atmosphere in the neighborhood. It’s where the Manhattan grid suddenly does a little jog and complicate things a bit. Going up to the top of the Whitney you really feel that moment and see it from that vantage point. I really appreciate that about the neighborhood. 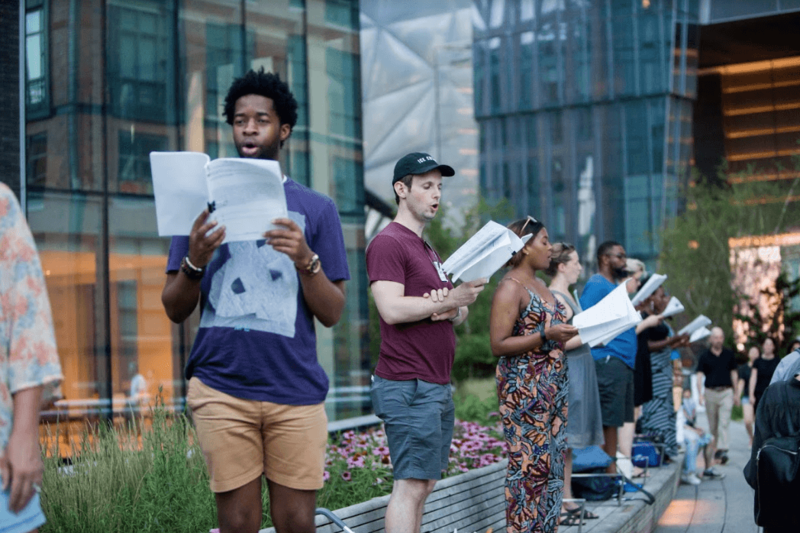 The Mile Long Opera: a Biography of 7 o’clock will take place on The High Line October 3 – 8. For more information, click here.